The "good news" about this early heat wave is all the rough bluegrass that was high yellow in April and looked like nutsedge, its checking out this week! I hate that stuff. 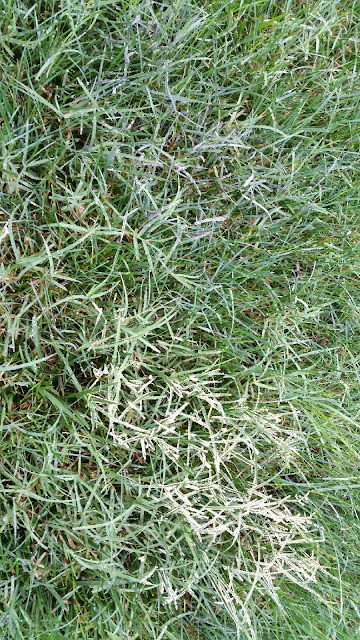 On the negative side, nutsedge already kicking! 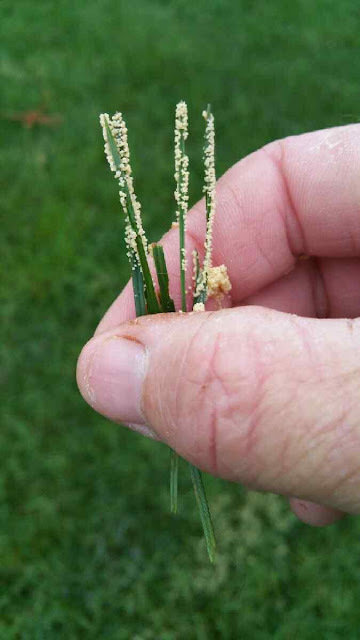 I hate nutsedge more! Its always something. It ain't no fairway, YO! ****IF THE TURF IS ALREADY SHOWING DROUGHT STRESS AND HAS NOT BEEN WATERED TO PROMOTE RECOVERY, PLEASE SKIP MOWING THAT WEEK. I have enjoyed driving around looking at how green and "tight" the lawns have looked over the past month. 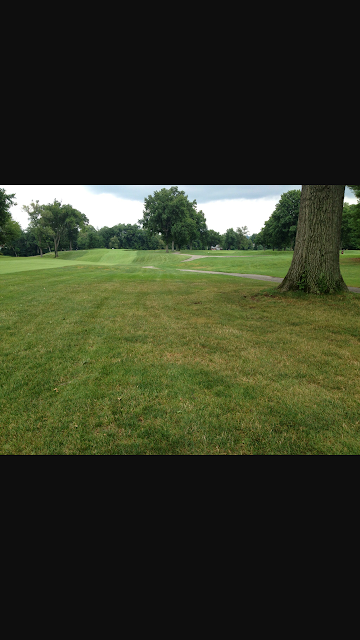 However, that cool looking, low cut fescue has got to go! I have noticed and contacted customers to let them know that their mowing height is too low when we see it. Though you can get away with a 2 inch cut on tall fescue through April, you WILL pay the price now, during heat stress and drought stress. YOUR ROOT DEPTH IS DIRECTLY RELATED TO HEIGHT OF CUT. So, if 2 inch roots seem like a good plan vs 3-3.5 inch roots, then don't listen. Fescue should be NO SHORTER THAN 3 INCHES AND NO HIGHER THAN 3.5. That extra 1-1.5 inches higher cut will also protect the plant crown by shading it. In simple terms, the plants crown is basically the "growing point" that allows grass to regenerate after mowing or other damage. If the crown dehydrates and bakes the party is over. If leaf blades dehydrate, the plant can regenerate with water and reduced heat. Think of higher cut as "umbrella" to protect your grass from "shake N bake! Though 3.5 inch grass technically uses more water, the benefits during heat and drought stress WAY outweigh water usage in my opinion. 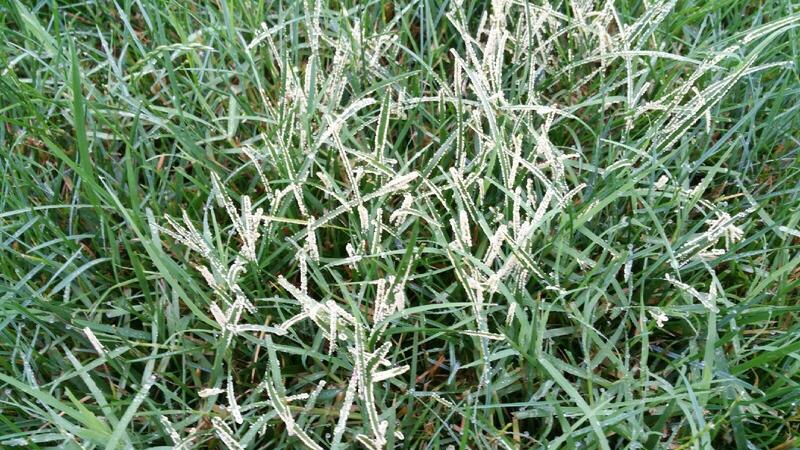 Weeds such as nutsedge, Johnsongrass, dallisgrass, crabgrass, oxalis, spurge(basically ALL SUMMER WEEDS) proliferate much quicker when the sunlight reaches the soil due to low cut, and turf canopy thins. The saying of the best weed control is a dense stand of grass is true. 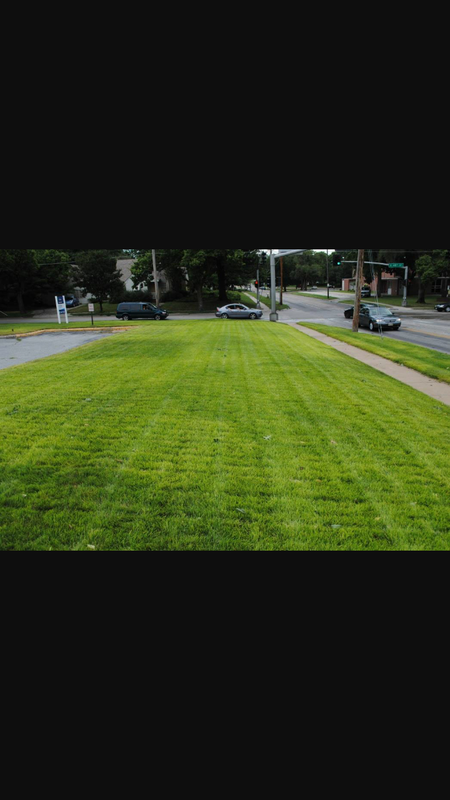 If you cut lower than 3 inches, more sunlight reaches and heats soil, turf will thin and weeds will grow and thats on you. Bobby don't mow. Guess what? Just because your lawn mower setting says 3 inches it doesn't make it so! After you or your mowing service mows, stick a ruler in it. Make sure its 3-3.5,with 3.5 BEING OPTIMAL, especially during heat and drought stress. If we advise you that your mowing too low, please adjust it. Why not mow at 4 or higher? Because as soon as rain comes, height above 3.5 will hold moisture in the turf canopy during day, when air temps rising. No bueno! Reduce leaf moisture by reducing humidity in turf canopy by NOT mowing above 3.5 inches. 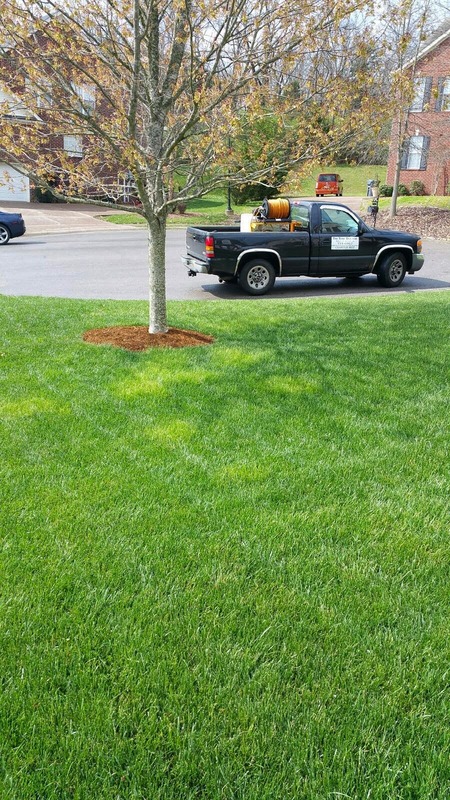 Thank you for helping me help you to keep grass healthy! We are getting calls with people concerned about the "brown areas" in their lawns. The first areas to suffer drought stress are curbs and any areas near heated surfaces like sideways and driveways. Also, large hardwoods like oaks are in full "suction mode" now that the spring rains have ended and the soil profile is dry. They are beginning to use the water that turf needs closer to the soil surface, and large areas will dry. Also, areas with poor topsoil mixed with rock. The "I CAN'T BELIEVE LAWN IS DRY WITH ALL THE RAIN WE HAD THIS SPRING, is no longer valid. Air temps up but humidity is still lower than usual, so there is NO MORE spring rain water left in the root zone for your grass. 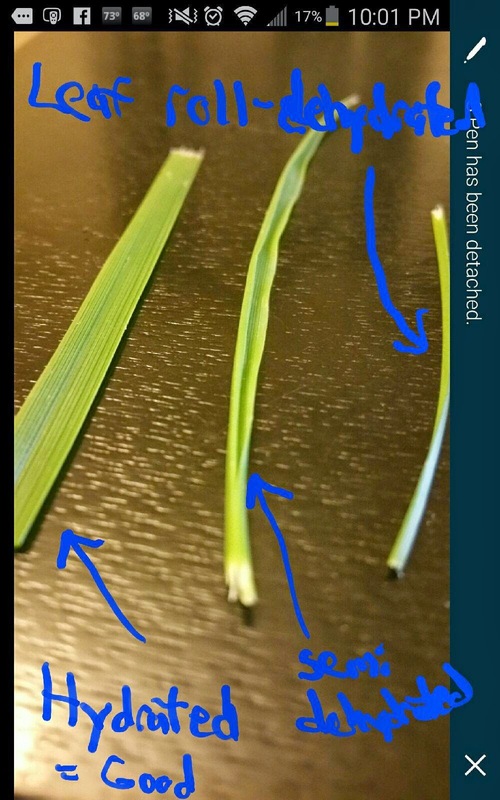 Symptoms: FULLY HYDRATED TALL FESCUE HAS GREEN COLOR WITH FLAT LEAF BLADE! Dehydration onset in FULL sun on tall fescue looks like someone drained the fertilizer and turf yellows as chlorophyll evacuates leaf blade! As fescue starts preparing for DROUGHT the leaf blades roll inward to conserve water and the GRASS LOOKS "skinny with rounded blades". THIS WOULD BE THE IDEAL TIME TO WATER, BEFORE GRASS TURNS BROWN. 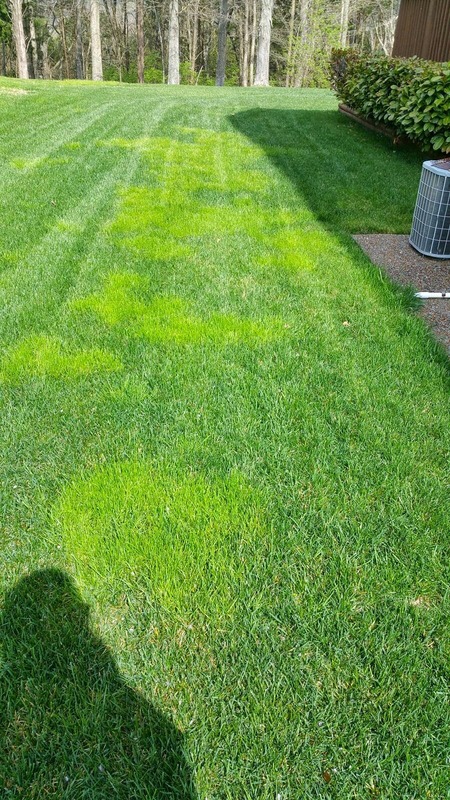 If grass has already browned, you cannot recover it with your "normal" irrigation schedule. The browning indicates the soil profile within the root zone is parched, and will repel water unless profile is soaked. Put a cup out and water until you catch a minimum of 1inch. Do it 2 consecutive days. Once you have rewet the soil profile, as you can assess by pushing Phillips head screwdriver into soil. Actually, try that in brown areas before you water, but don't break your wrist! Once profile rewet, please let surface dry for 24-48 hours. Turf will recover from drought stress if you rewet soil profile! What we DO NOT want to do is to keep surface wet by daily water, which will feed the nutsedge and encourage "brown patch" If you are NOT on a slope, and can figure out how to keep your grass green by DEEP, INFREQUENT irrigation, it will reduce nutsedge and fungus development SIGNIFICANTLY this summer. 3. Example of how fescue looks in some sunny areas BEFORE leaf roll begins. Pre stress chlorophyll shutdown = Dark green fescue areas can yellow before leaf rolling begins.